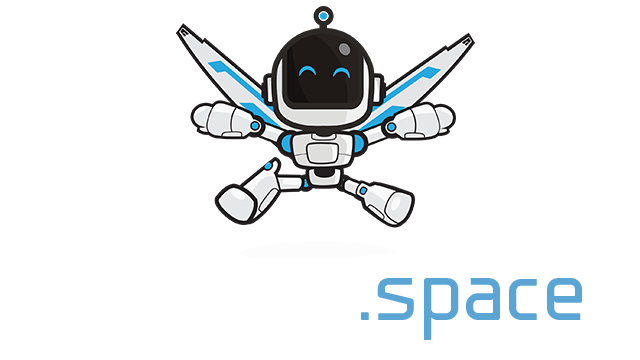 Wormo.io | Play Wormo.io free on iogames.space! Worm io game with shooting worms! Eat gems on the map to grow bigger. Do not get in collide with other worms. Shoot other players to push them away and beware of other players shooting at you. Your shots will get stronger when you get bigger, giving you more power over other worms. You will turn slower the bigger you get. Use the boost to get away from dangerous situations or to catch another worm. You can only boost for 5 seconds before your worm is tired and need some rest. Boosting does not cost any gems, it is only limited by the 5 second cooldown. It is a good idea to avoid head-on collisions since you are at 50 percent risk of getting killed. If you are big you you can shoot smaller worms into a collection of other worms to cause maximum destruction. Use the minimap to see your position if you are playing with a friend and you want to team up. Take advantage of the smaller turning radius when you are small to outmaneuver bigger worms. Cooperate with other small worms to tame down bigger worms. 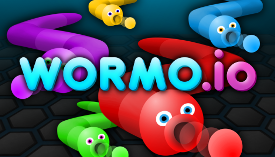 Wormo.io introduces shooting to the worm games. You can shoot one shot per second in the direction that your worm is facing. The shots get bigger, more powerful and travels further the bigger you get. You will get moved a greater distance when you get shot if you are small. The only players that can have a significant impact with their shots on bigger players are other big players or smaller players that are cooperating. When players get killed they drop all of their gems on the map. The best way to get bigger is to collect the gems from big fallen worms.It can be beneficial to save you boost for collecting gems from fallen players or emergency situations. There is a wide range of customization options available in this game. The most basic one is to change the color of the worm and then select whether you want to have stripes or have one solid color. Another option is to change the skin of the worm by selecting one of the 8 available skins, some of the skins also have a special tail design. There are also hats and crowns that can be selected in the skin menu. All different colors can be used on all skins giving the player a opportunity to be unique on the map. There are also flags that can be used to represent your country, your favorite youtuber or some meme that you like. All flags can be used with all other customization options. The crowns can not be selected unless you have earned it. In order to unlock the crowns you must place in the top 10 on your server. Top 10 gets the bronze crown, top 5 gets silver, top 3 gets gold and top 1 gets bigger gold crown with a diamond.